Welcome to another Quillspiration! 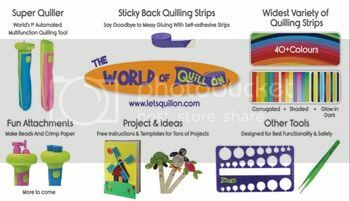 A roundup of inspirational quilling pieces from around the web (all linked back to their original sources) for you to peruse. This month’s theme is Autumn and Thanksgiving paper quilling. These are perfect for decorating your Thanksgiving table or just to make your house more festive this autumn. A few of them are linked to tutorials so you can get right to work! There are a variety of pieces from super simple to the super detailed, something for everyone! I hope you enjoy this roundup – and make sure you also join in this month’s linky party to get your own quilling and/or other paper craft works featured here on the blog! I love using paper quilling on placecards, and here is a fun example of that for Thanksgiving! This post even contains the instructions you need to make your own little turkey placecards! The cornucopia – a traditional, yet somewhat lesser used, symbol of the harvest. Here it is made into a fun design that can be used on place settings for your holiday dinner or other decorative use. This is made by Debbie from Quinessential Quilling and can be found here on Etsy. You can follow her on facebook here. Paper quilling acorns are so cute! I found many sources for these adorable acorns. It can be quite difficult sometimes to discover the original source, but the oldest one I could find was by Quilly Nilly in 2010. So as far as I can tell, these are the original paper quilled acorns! You can find Quilly Nilly at their facebook page here. These can make adorable ornaments, decoration for your centerpiece, for your place settings, and even jewelry! Do you want to know how to make those acorns? Check out this free tutorial by Erin from Little Circles – make these fun napkin rings for your place settings at Thanksgiving! I love this turkey ornament! It would be perfect hanging from a window, in the kitchen, or maybe just sitting in the centerpiece for your Thanksgiving dinner. This shows a great use for crimped paper! I feel inspired to get out my Crimper Tool and give it a try! This is made by Navanka creations and can be found here in their Etsy shop. You can find their facebook page here. Continuing with the turkey theme, here is an awesome 3D turkey centerpiece for you! No time to make your own? Or this here on Etsy. It is made by Joan from Fashioned for You in NH. You can’t have too many 3D turkeys! This one is great! Creative, eyecatching, and a little unconventional. Love it! I found it here on Etsy. It is made by Christa from Wintergreen Design. She makes a collection of awesome holiday and other themed 3D miniatures, so make sure to check out her etsy shop or her facebook page. Sometimes the simplest ideas can be the most striking. Here is a fun one that anyone can make. This design is by Shannon Miller on Rebel Craft (it used to have a link, but it didn’t work anymore, so I took it off). Here is a simple, yet elegant and striking, Thanksgiving or fall season themed card. These cute leaves could also be used on placecards for your Thanksgiving table. I found this here on Etsy. It is made by Jill from Paper Daisy Cards. Tired of turkeys? This adorable squirrel and leaves will fit the bill! I found this here on Eli Quilling. These delicate leaf ornaments are the perfect addition to your fall decorations! Hanging in a window or on a bare branch in a vase, these would be eye catching and gorgeous! These can be found here on Etsy. Made by Victoria from VB Pure Designs. Her facebook is here. While this is not particularly for Thanksgiving, it is definitely autumn in theme. This would make an awesome gift to give to someone if you were going to their house for Thanksgiving dinner! This is made by Neli from Neli Quilling Art and can be found here on her blog with more photos. Continuing the art theme, here is a fun modern pumpkin wall art that would again make a great gift! This is made by Diane from My Little Shop Online and can be found here in her Etsy shop. Another gorgeous piece of autumn themed framed art! I found this here, made by a Russian quilling artist. Click on the link to see some close up shots! Here is another modern piece of quilling art in an autumn theme. Love this! It is made by Katerina from ChâuKhangshop in Vietnam (link is to her facebook page). See the piece of art here on her page. Here is another unique take on autumn leaves. These are so cute! This wouldn’t take too long to make either and would make a great piece of framed art or a greeting card. Click here to view this piece on the original blog. It is created by Nata from Polka Dot Parasol designs. Here is one last piece of modern quilled art in autumn theme. I saw this photo all over on Pinterest, but attributed to the wrong artist. I finally found the correct source, whew!! This beauty (click here for more photos) was made by Yulia Turetsky from Israel. Here is a gorgeous fall themed piece by Yulia Brodskaya. I could look at her art all day! Click here to see more of her pieces on her website. Let’s not forget my favorite – quilled jewelry! These paper quilling leaf earrings are eye catching indeed! And guess what – you get a full tutorial! Click here to learn how to make them. Looking for something a little more simple? These fun leaf dangle earrings will fit the bill! I love dangle earrings, they are so fun! These can be found here on Etsy. Made by JuDan Designs. Here is a simple paper quilling leaf earring that you can make to match your outfit for the holidays – with full picture tutorial! I hope you enjoyed this Autumn and Thanksgiving paper quilling roundup! Which one is your favorite? 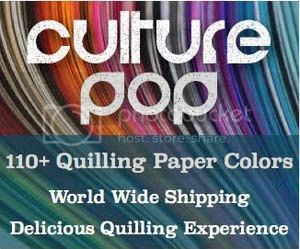 Are you doing any paper quilling for this holiday season? Here are some more Quillspiration roundups! *This post contains an affiliate link. If you purchase products through the affiliate links I get a small percentage (at no extra cost to you!). I only link to products that I believe in and/or love to use myself. Thank you for supporting my blog!